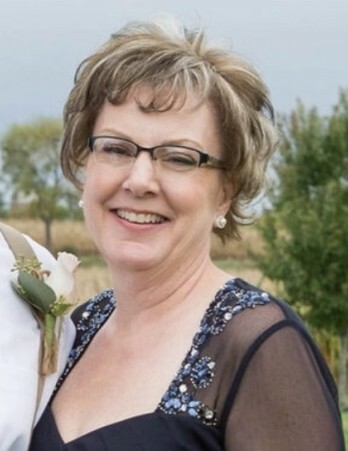 Mary “Carrie” Dodge, 53 of Darien, WI, passed away unexpectedly, Sunday, October 21, 2018 at Mercy Janesville. She was born March 29, 1965, the daughter of Robert and Carolyn Guiler. Carrie graduated Class of 1983 from Delavan-Darien High School. She married Brad Dodge on September 20, 1986 in Delavan, WI. Carrie owned and operated The Stitchery in Delavan, WI with her sister, Nancy. She was active member at Our Redeemer Lutheran Church in Delavan, WI. Carrie was an avid Milwaukee Brewer’s fan and Brett Farve fan. She loved spending time with her family and was known for snuggling all the babies. Carrie is survived by her loving husband of 32 years, Brad Dodge, three children: Nolan (Kenzie), Carly and Cassidy Dodge, her parents, Robert and Carolyn Guiler, mother-in-law, Pearl Dodge, six siblings, Robert (Wendy) Guiler, Betsy Franklin, Shirley (Mike) Millsap, Mike (Sandy) Guiler, Nancy (Ed) Snyder and Ann Guiler, many nieces, nephews, great-nieces, great-nephews, extended family members and friends. She was preceded in death by her father-in-law, Harold Dodge. Funeral service will be 12:00PM on Wednesday, October 24, 2018 at Our Redeemer Lutheran Church, 416, W Geneva St. Delavan, WI, with Pastor Robert P. Rickman. Visitation will be 10:00AM until service time Wednesday at church. Private Burial will be at Darien Cemetery. In lieu of flowers, memorials may be directed to Our Redeemer Lutheran School. Online guestbook at www.haaselockwoodfhs.com. Arrangements for Dodge Family handled by Haase-Lockwood & Associates Funeral Homes and Crematory of Elkhorn, WI.